Reports and rumors of immigration raids and round ups have been circulating since President Donald Trump took office. Last week, Immigration and Customs Enforcement (ICE) confirmed that hundreds were arrested through “targeted enforcement actions,” the agency’s preferred term. The enforcement operations targeted homes and workplaces in at least 12 different states— California, New York, Texas, Illinois, Indiana, Wisconsin, Kentucky, Kansas, Missouri, Georgia, North Carolina, and South Carolina—many of which have “sanctuary” jurisdictions. Department of Homeland Security (DHS) officials have denied that last week’s actions were a result of Trump’s January 25 executive order, “Enhancing Public Safety in the Interior of the United States,” stating that the operations were “routine.” Yet agents told press that “they also were sweeping up noncriminals in the vicinity” of the actions, if those individuals did not have papers. It’s hard to see how that new tactic—sweeping up bystanders—is not a direct result of a provision in the executive order that vastly expands those considered “enforcement priorities.” The language effectively eliminates any prioritization and means all undocumented immigrants—including those never charged or convicted of a crime—could be targeted. Previously, DHS’ policy was to focus enforcement resources on “convicted criminals and threats to public safety,” meaning many undocumented immigrants with strong family and community ties were not primary targets. While it’s not clear how many of those arrested in last week’s actions would have been priorities under the previous policy, it appears as if a broader array of immigrants are getting caught in DHS’ operations. Guadalupe García de Rayos, or Lupita, was one of the first to experience the apparent shift in enforcement. A mother of two U.S.-citizen children, Lupita left Mexico when she was 14-years-old and lived in the United States for over 20 years. But on February 8 she was arrested when she went to the Phoenix ICE office for her annual check-in—something she has done for eight years. The next day, she was deported to Mexico. Los Angeles: ICE reported that 160 foreign nationals were arrested as a result of an “enforcement surge” in the area, picking up individuals at their homes and on the way to work. An estimated 25 percent of those arrested had misdemeanors or no criminal history. Georgia, North Carolina, South Carolina: ICE reported “routine” actions resulted in 190 arrests of undocumented immigrants in the three states—87 in Georgia, 84 in North Carolina, and 19 in South Carolina. Community members reported the ICE agents going door-to-door in one Atlanta neighborhood. Texas: According to ICE, 28 undocumented immigrants were arrested in South and Central Texas during a two-day operation. Twelve individuals, or over 40 percent, did not have criminal convictions. “Operation Cross Check” impacted San Antonio and Austin, where the Mexican Consulate said 53 nationals were detained over a four-day period, most of them picked up while driving. Illinois, Indiana, Wisconsin, Kentucky, Kansas, and Missouri: From February 4 to 10, ICE reported “routine, daily, targeted operations” in the six Midwestern states, resulting in 235 arrests. At least 30 percent of the foreign nationals had no criminal convictions. While DHS has not provided details on future operations, it has made clear that enforcement is routine and daily. 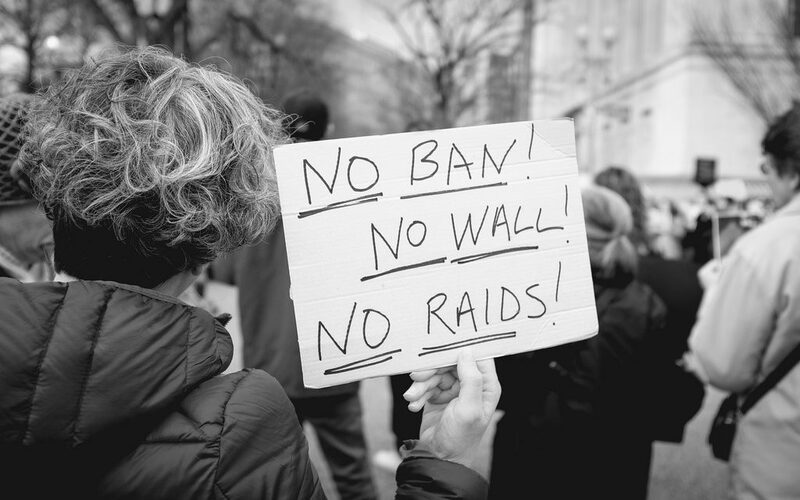 The apparent surge in enforcement has generated widespread criticism, including from Senators and Members of Congress; as well as confusion and fear in immigrant communities. In response, community groups and advocates have organized spontaneous protests and continue to share Know-Your-Rights information to educate and prepare the public.